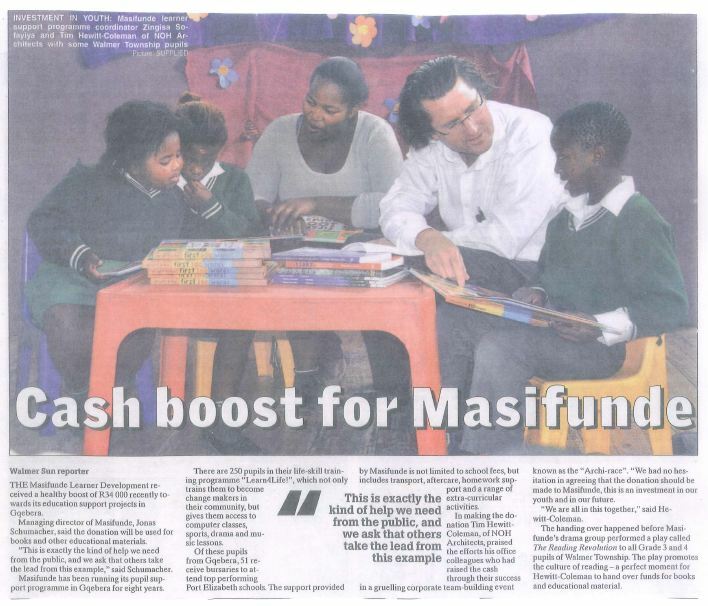 Last week, Tim officially handed over a donation of R34 000.00 to the Masifunde Education fund which operates in Gqebera. Tim explained to those at the function that his colleagues had raised the cash by participating in and winning a grueling sponsorored event known as the Archi race. Previous Previous post: Central, Port Elizabeth – Blueprint for metro’s urban future?